I have been a master procrastinator when it comes to blogging since we returned from vacation. I have imagined up every excuse known to man to not fire up the lap top and write this post. I have no idea why that is. But here I am. Better late than never. I thought I should probably do this now because in two days I will put another notch on the race belt and I'll have a much more impressive story to tell. I hope. 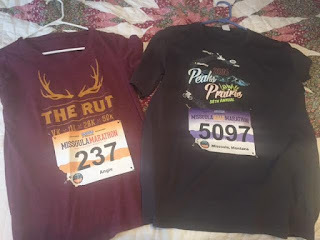 Our vacation this year was planned around two main events: The Missoula Marathon/Half Marathon and our daughter's wedding. The were a week apart and both on the other end of the state (the wedding was actually in Idaho). 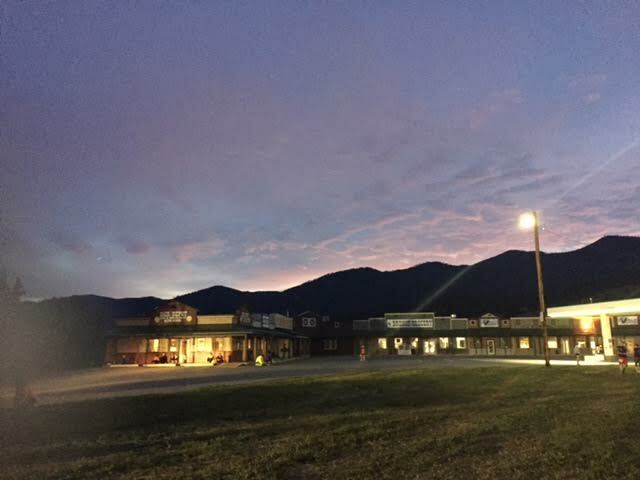 We arrive in Missoula the Friday before our Sunday race. That night was packet pick up and the race expo. I get very excited about race expos because most of the races I go to don't have one. But the best part about Friday night was the Beer Run! Basically a 5K just for fun. We got a cute little bottle opener and free beer for participating. Mitch doesn't really drink beer, so he posed for this picture and then I got his beer. We have a perfect relationship. More beer for me. But I couldn't help myself. 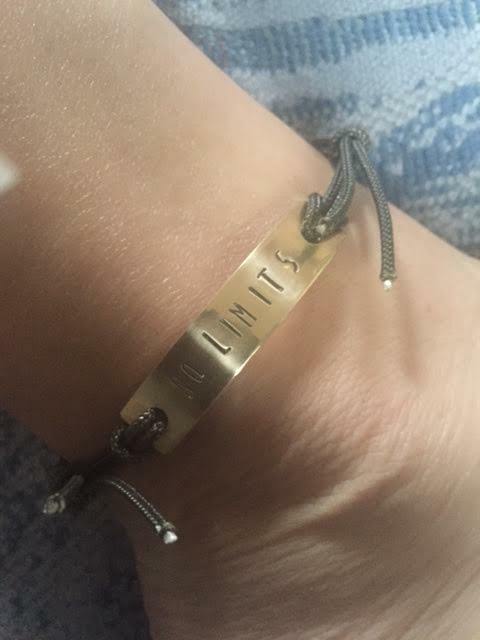 I walked away with this adorable ankle bracelet that says "No Limits." Since then, I have removed the charm from the cord and put it on my shoelace. I like it better that way. Just a couple pics from Saturday night before the race. We spent all day wandering around Missoula but went back to the camper and crashed pretty early. Because the Marathon and the Half Marathon both had a 6 a.m. start! That meant we had to be at the college to catch our buses around 4:15. I wish I had taken more pictures at the start line. There were fireworks every 15 minutes in the hour leading up to the race. When the gun went off, so did a LOT of fireworks. I didn't get to see them much. I was busy running. 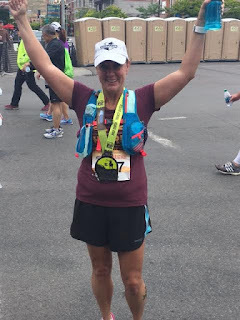 I was looking for a time goal on this marathon, so my phone stayed tucked away in my vest. I didn't get any pictures along the way, but there were very few places on the course I considered picture worthy anyway. I set off with the 4:40 pacers. I knew this was a very lofty time goal, but I wanted an advantage that would get me to the finish under five hours. 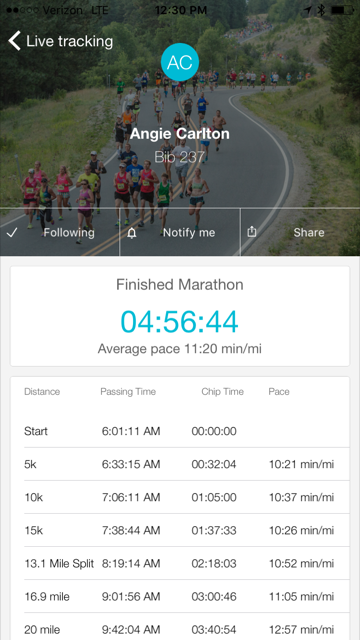 I stayed with the pace group steadily until midway. The pacers were awesome! They were engaging and we told stories, made up stories and just kept the mood light the whole time. My only negative is that they went out a little fast to put "money in the bank" for later in the race. I think this is a bad strategy. I lost the group when we hit the only hill on the course. It was steep and for the first time I had to walk. I hoped I could put some speed on the downhill and catch up, but I couldn't. I was too tired. Mitch and I download the race app. This cool tool meant that we could follow each others progress as we hit timing points along the race. Mitch was doing the half and I loved that I knew when he finished. It was kind of a bummer that I didn't get to be at his finish line. 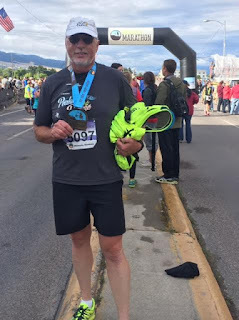 Of course I didn't finish in 4:40, but I did manage to get my sub 5 hour marathon time! With a tiny bit of cushion on the time, even. These are the medals and they are enormous. 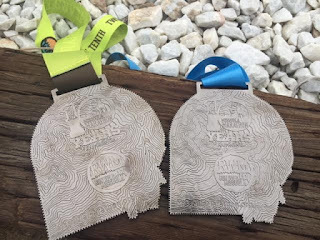 They are bigger than the Yellowstone Half medals and I thought those were big! I have to admit that I was disappointed though. Previous medals for this event have been horseshoes. These are big and heavy but otherwise not very pretty to look at. The backs are nice. I'm not impressed with the race sponsor's name being on the ribbon. I don't feel like that is an appropriate place to put the sponsor logo. Swag: The race shirts are great. Mitch and I got different colors, which is nice! The free bottle opener that came with the beer run is fun too. Other than that, there was a virtual race bag that was mostly useless to us. 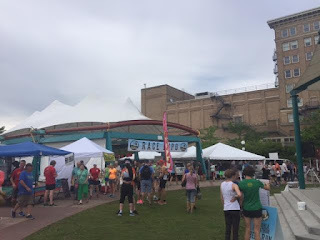 Prerace events: I don't need to say much about that here because I recap it well above. But overall, fantastic! Race course: The great thing about the marathon course is that it is almost all flat. There is one significant hill in the middle but otherwise easy running. I was totally unimpressed with the general course as a whole. Had the weather been nicer, at least I would have had a view of the mountains but they were under cloud cover. 9 miles on a single straight road before it moved in to some farming community. This is the nicest part where you cross a creek and run through some wooded area. It was a nice distraction from the hill. 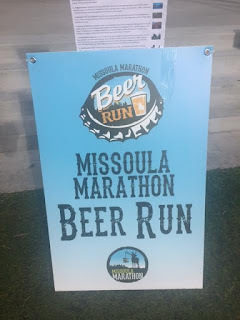 But after this section, where you move in to the town of Missoula you run through some of the least attractive area. The last few miles are basically running through a neighborhood, circling blocks. 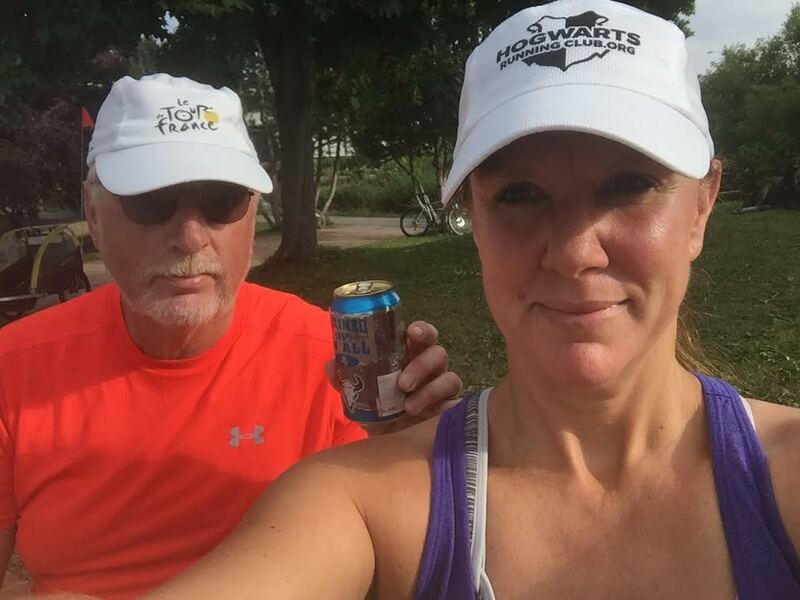 Later, Mitch drove me out to where the half marathon went. Hands down he had a nicer view through most of the race. Aid stations: Stations were all well manned. Many of them had gels, but it seemed like less than what the website said. But they did have electrolytes and water and friendly people everywhere. Once you run in to town, there are people that have set up sprinklers and buckets of ice water full of sponges. 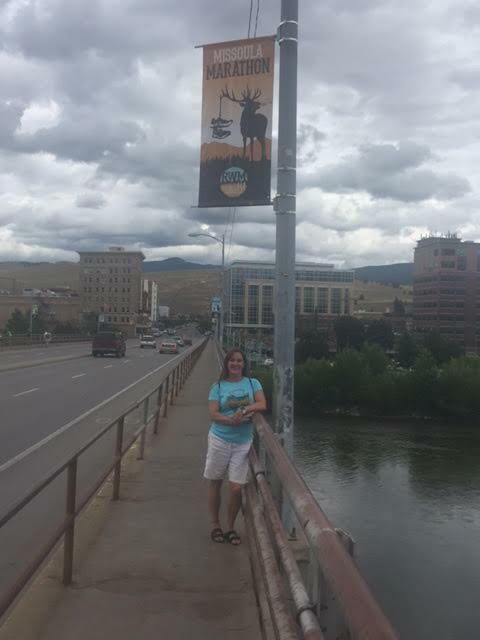 Spectators: One of the main reasons I signed up for Missoula was because I wanted something with a big city feel. While the Missoula marathon in no way can compare with a city like Chicago, there were tons of spectators and so much support from the community. Finish line: Even though there were thousands of runners, the commentator at the finish still called everyone by name and even noted when there was a particular accomplishment for that runner. Pretty cool. Post race food: By far the most impressive spread of post race food I've seen so far. Quinoa salad, cheese, nuts, Popsicles... I can't even remember everything that was there. Oh... and of course there was free beer. Overall: With a few exceptions, this was an awesome event. 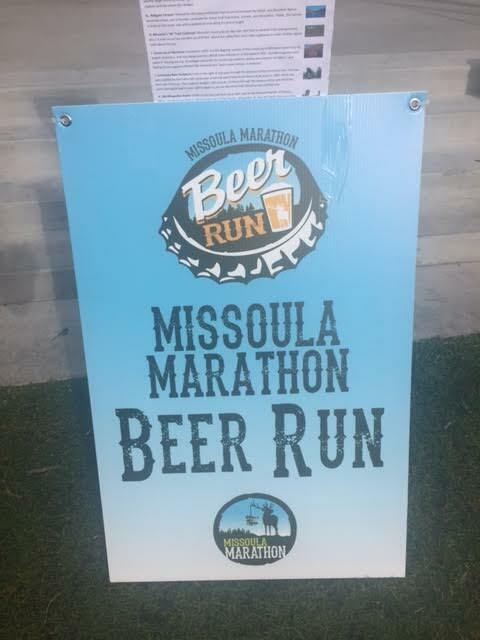 They really know how to put on a good party at the Missoula Marathon. I plan to run again next year because it's the flattest marathon near me and I'll be working towards that Boston Qualifier. This post could get extremely long. I could include our trip to the Trail of the Hiawatha and all of the fun trail runs we have done since vacation, but those will have to wait until next time. Tomorrow we head for Big Sky and The Rut! That's the big one... the 50K mountain race I've been preparing for all season. I am as ready as I'm going to get and I'm super excited to get out there and take on that mountain. My fingers are crossed for good weather. It's supposed to get cold and there is a potential for storms that could reroute the run. Let's hope that doesn't happen. Good luck to my husband who is tackling the 11K on Sunday also! 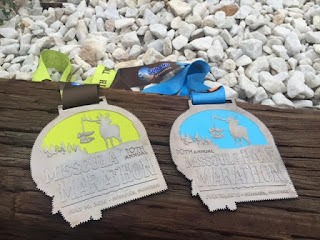 I promise not to wait so long to post the race recap. See you soon!